St. Mary’s Street near Calvin Road. February 2018. 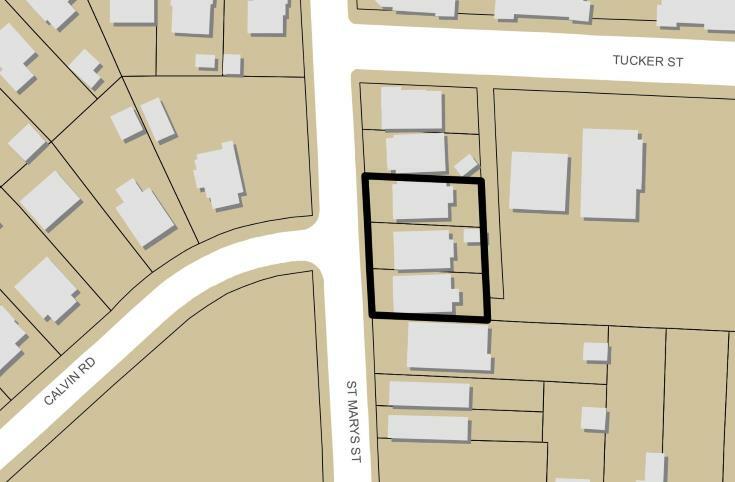 Plans on the city’s website (S-050-17) show a small project that will include six townhomes for an area on St. Mary’s Street near the intersection of Calvin Road. (between Tucker and North) Three lots are being combined for the townhomes and currently, only a single house sits on these lots. There were two other homes here but they were demolished sometime in 2016 so I imagine the last one, shown above, will come down with this project. 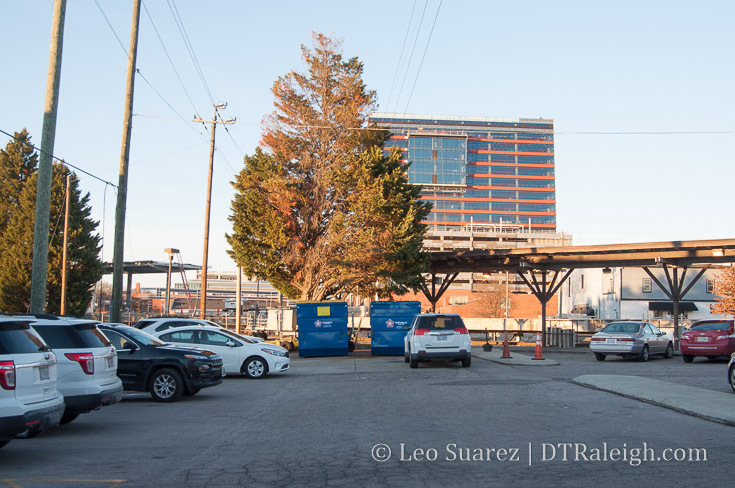 Preliminary site plans show the six units in one building with rooftop decks and parking garages located along an existing alley behind the units. The alley is currently accessible on Tucker Street and is mainly used by the residents in The Devon. 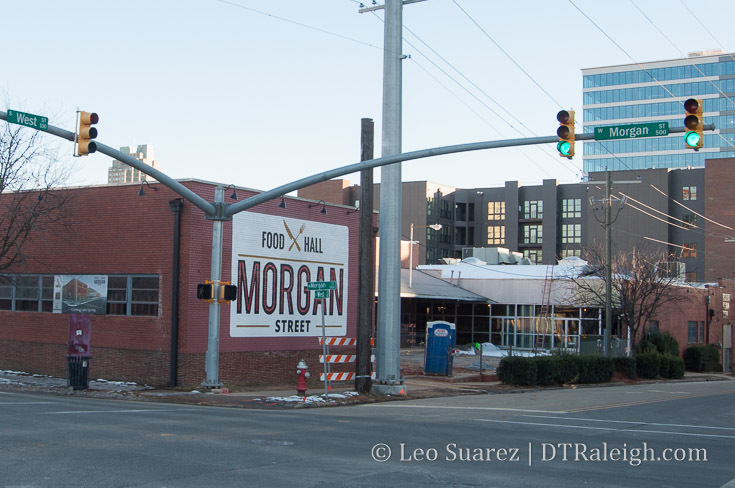 Seems like a straightforward project and a product that’s much needed in and around downtown. 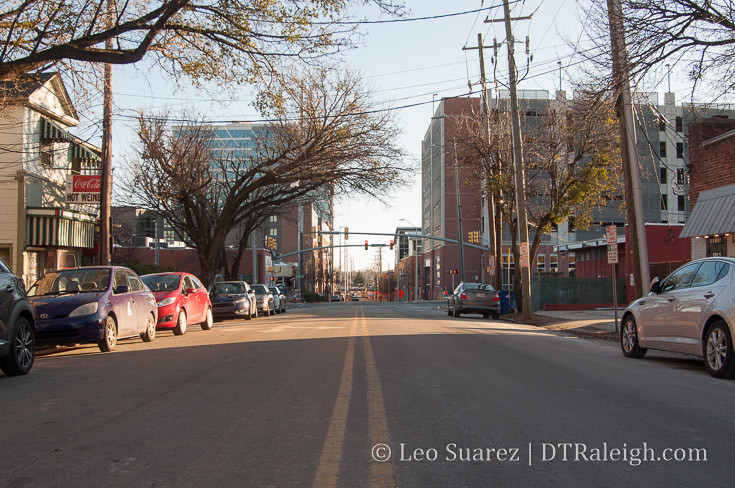 I like the idea of further using an existing alley for additional vehicle access rather than creating new streets. 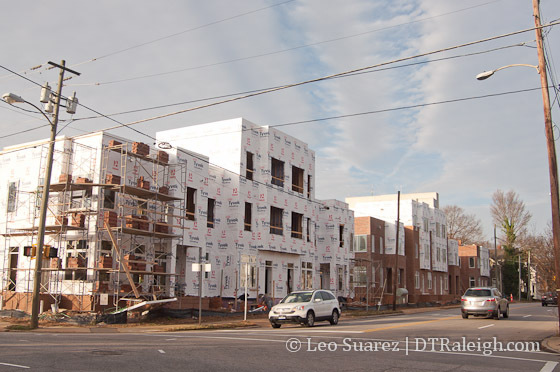 The first wave of townhomes at Hargett Place are almost finished. 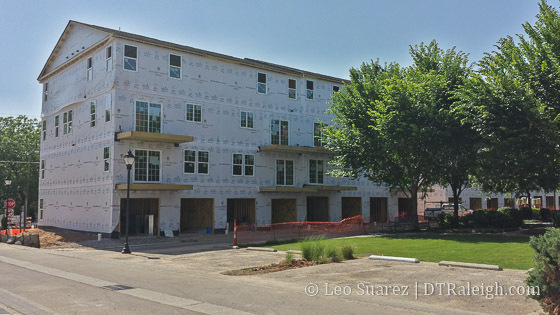 Lined up on Bloodworth Street, shown above, these units are being shown to potential residents now and more units are coming together on East Street. More like Render of the Week. 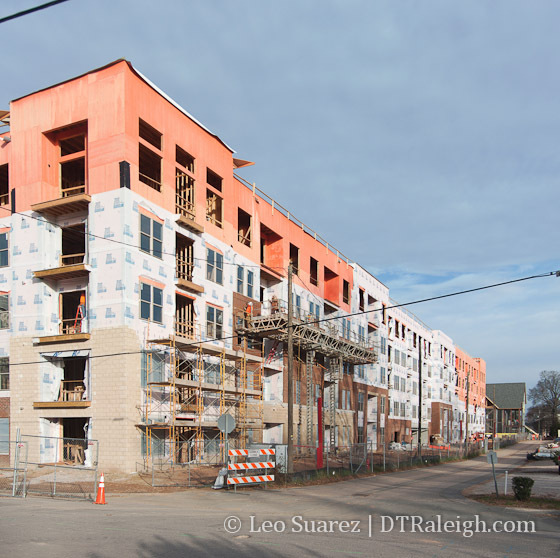 Above is the rendering for Hargett Place, a group of 19 townhomes for East Hargett Street. I’m into this project because of the high-quality (perceived anyway) as well as unique townhome design shown in these renderings. 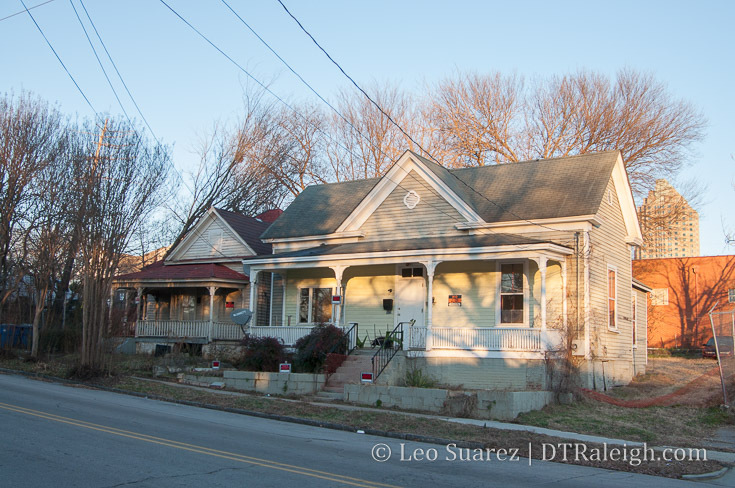 This is a housing type that I think is hugely lacking around downtown Raleigh and I would like to see much more of it. 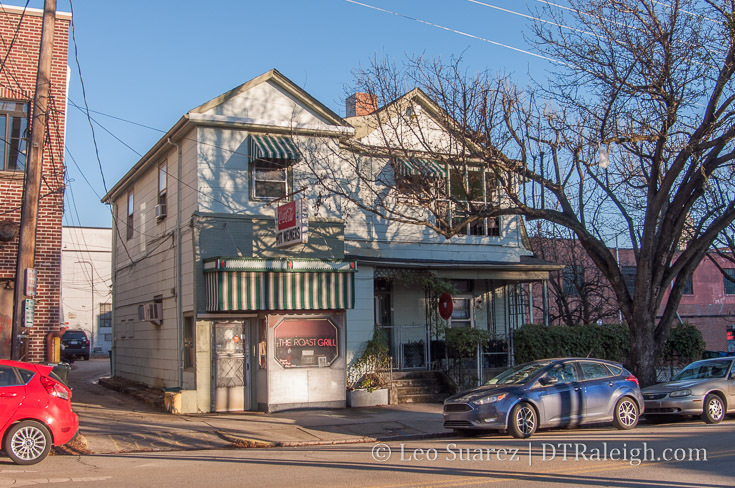 For sale, rather than for rent, units are also nice to see in a part of Raleigh where rentals dominate so some balance to the market always seems like a good thing to cheer for. 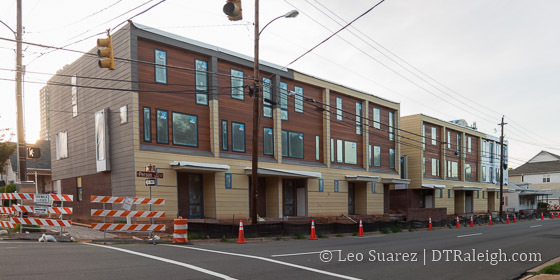 The rendering reminds me of brownstone rowhouses that you can spot in older cities in the northeast. I can see a very comfortable street face along East Street with these homes facing City Cemetery. Once new sidewalk trees mature it’ll be a nice place to walk in the future. 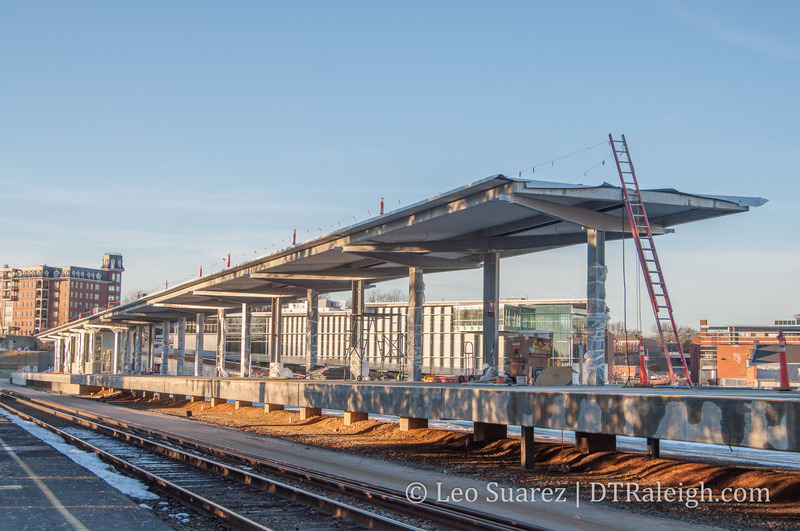 The Ten really coming along on Person Street. 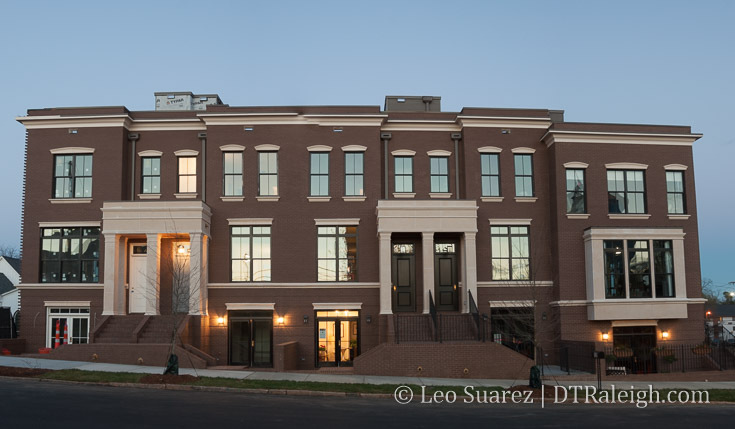 As part of Blount Street Commons, Person Street is really getting a residential presence with these townhomes named The Wallace and The Anderson. The website is lacking a lot of key information but here’s where you can see more about them. 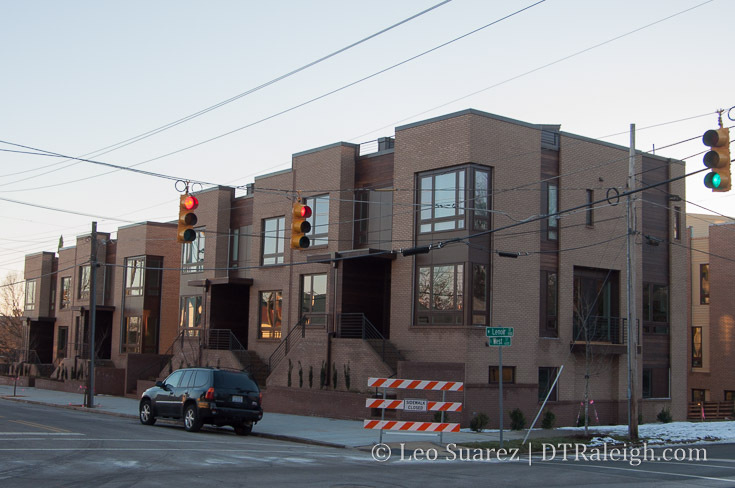 While nothing spectacular to look at, (The Ten looks much better and the units were priced a bit lower) I actually really like that we’re getting some of this type of residential around downtown. I hope one day for there to be a plethora of three or four story buildings like this scattered all throughout our urban areas. It’s also a great transition development from our core out into the neighborhoods. 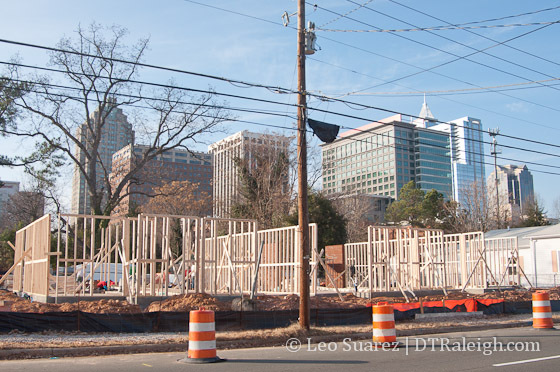 Wood framing is being put up for the townhomes called The Ten. 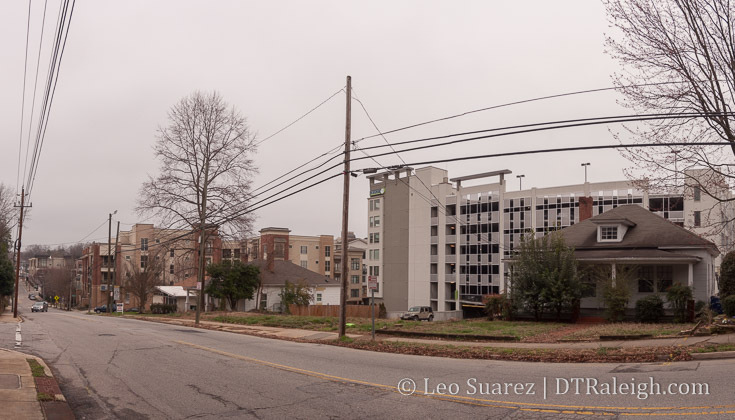 Located at the corner of Person and Lenoir Streets, they are building 10 units here. 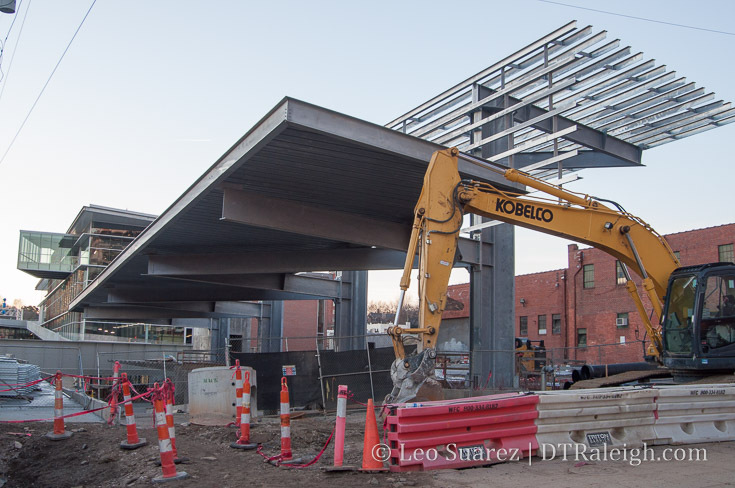 I recently took a walk around East Peace Street and there is just so much happening here these days. On this particular weekday morning, the sounds of construction dominate. 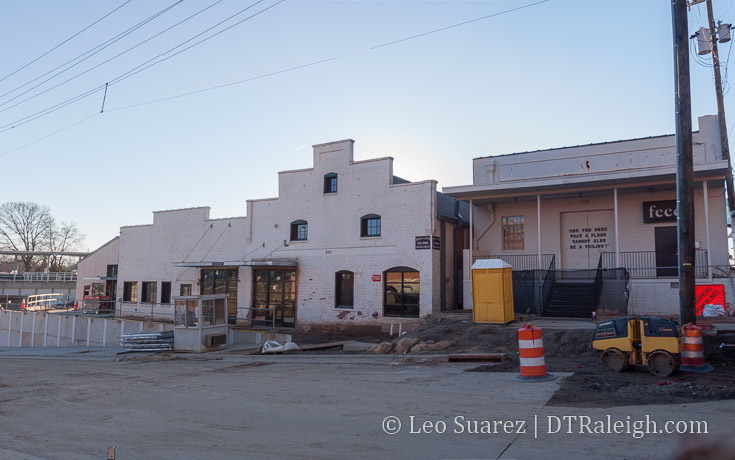 The hum of machinery, the beeping of vehicles, the hammering of nails are just some of the things you hear if you wander around Peace, Person or Wilmington Street. 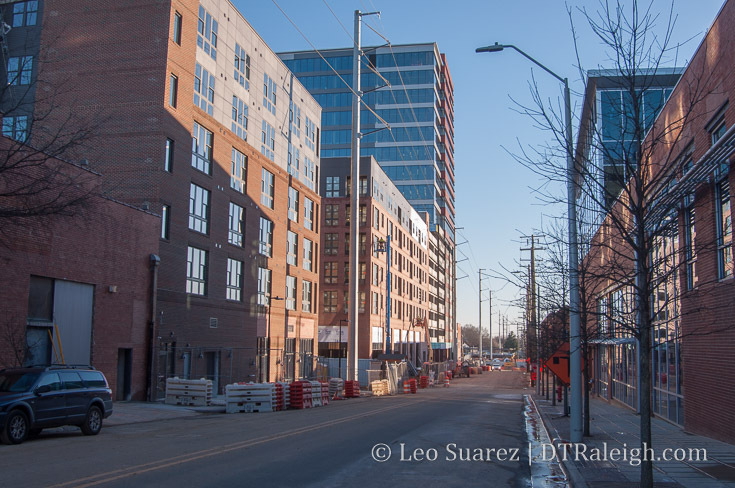 These two blocks are just mushrooming with new developments. 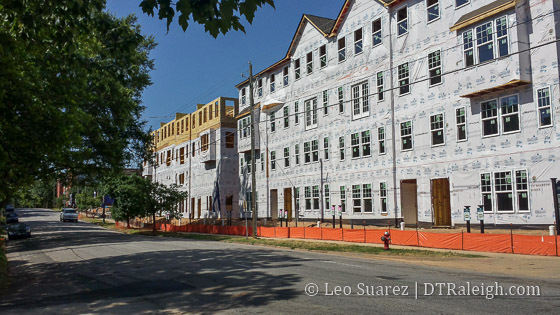 It’s not surprising that the new construction is predominantly residential as that is the current trend. 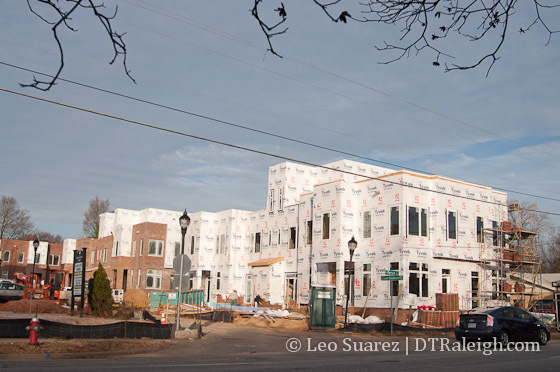 Built up now are some new townhomes and carriage homes at Blount Street Commons. A lot of land has been cleared along Person Street for even more of these. 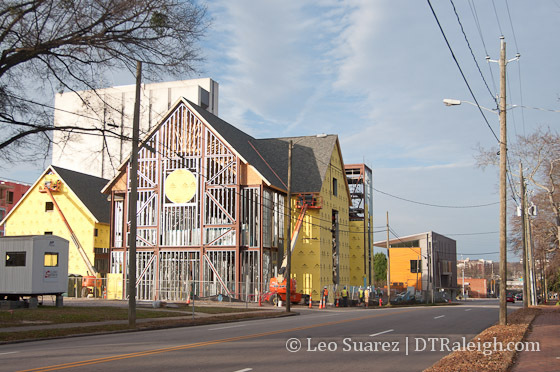 You can now get a sense of the space that the Holy Trinity Church on Peace Street will take as the building shell is pretty much wrapped up. More townhomes at Peace Street Townes are moving along nicely with the entire site out of the ground now. 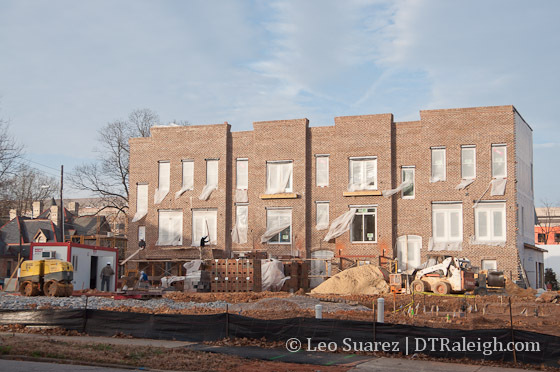 A lot of brickwork has taken place and the first units are close to being ready. 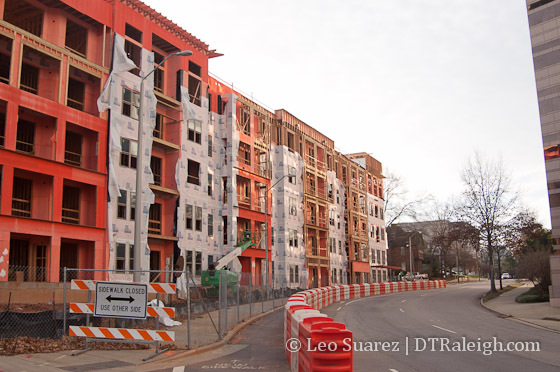 The largest presence here is the Elan City Center project, a five-story apartment building with about 213 units. 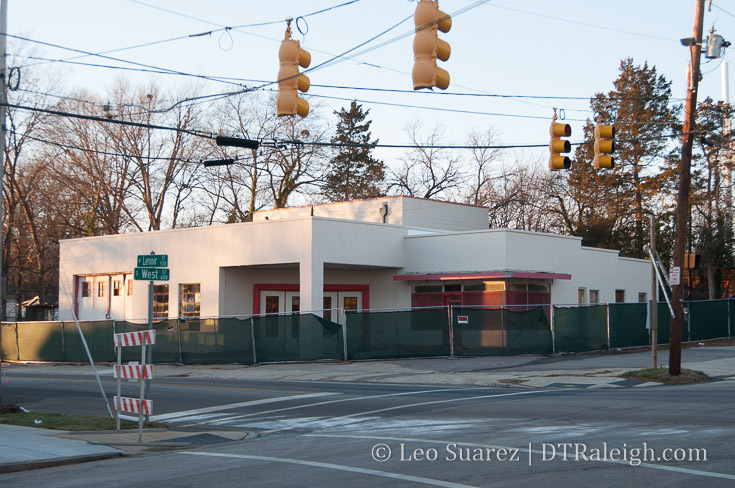 There isn’t any ground-floor retail here but with Seaboard Station just across the street and the non-active government district nearby there may not be a big reason for it. I’ll be interested to see more about Elan City Center as the project kind of just popped up and I’m not sure what kind of local presence there is here. 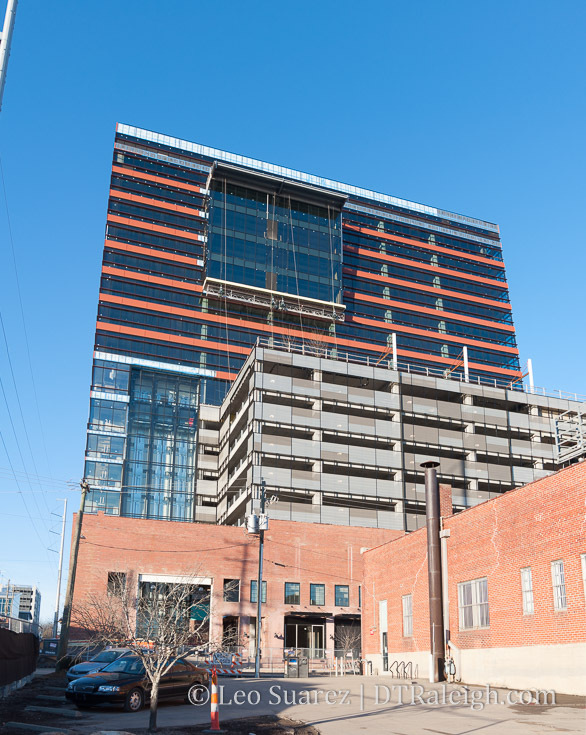 There are no plans for this on the city’s website and their website showcases it as a ‘North Carolina project’ rather than a ‘Raleigh project,’ mistakenly using Charlotte’s skyline on their website. In a hot rental market, complacency in management is common, as I’ve heard is the case in some of the newer buildings in or near downtown. Hopefully that’s just a few isolated incidents.